Where are you with the whole process of choosing the course you will be doing after the Leaving Cert? Sometimes Course Choice can be a rushed affair and several important things can be overlooked. Take a few minutes on this check list and see if there is more work you need to do on each of your course choices. If something needs to be done then the sooner you get it done the better. It can help to consult with your Guidance Counsellor. Change of mind opens Friday, May 5th. If anyone needs an appointment please arrange one. 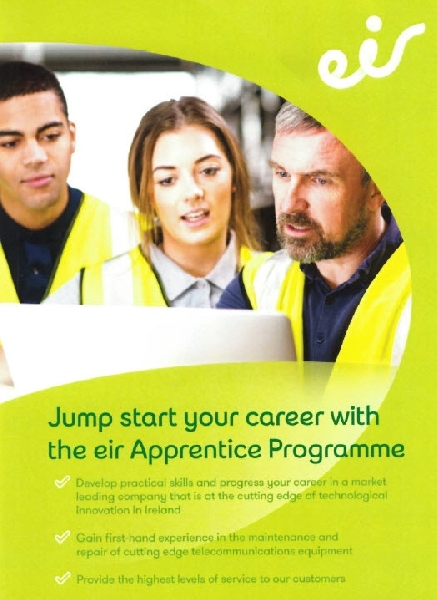 And at the end of two years, all high-performing apprentices will secure a permanent position at Eir. What will happen at the Open Day? Our students will talk about their courses and what their experience at college has been really like either one to one or as part of a talk. There will be talks about course content, entry requirements, career opportunities etc. Lecturers will be available to meet with students and give them more details about the courses. There will be representatives from Admissions, Disability Office, Placements, Careers, Students' Union and Societies. There will be tours around the building where students will get an opportunity to see all the learning spaces. 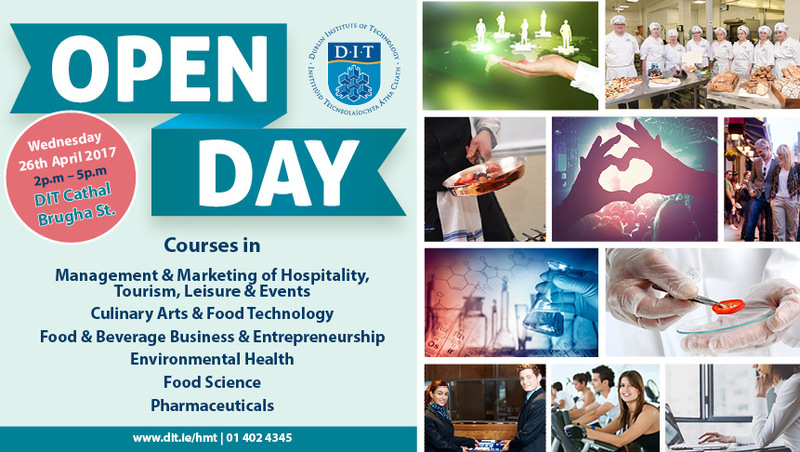 For the full list of courses available at DIT Cathal Brugha St. see here. DIT Cathal Brugha St. is located at the north end of O'Connell St (behind The Gresham Hotel). Click here to open the location on Google Maps. NCAD are offering students the opportunity to do a Portfolio preparation course this summer from 27th June-13th July over 3 weeks at a cost of €445. Please see their website here for more details and booking. For 2017, WIT is looking for five exceptional students to be awarded a President’s scholarship worth up to €12,000. The application deadline for the scholarship programme is this Friday, 7 April 2017. Students interested in applying for the President's scholarship programme must list their chosen WIT course on their CAO application. Students who have not yet listed that course as one of their choices can still apply for the scholarship by 7 April and can use the CAO's Online Change of Mind facility to amend course choices between 5 May (12.00 noon) and 8 May. Scholarship applicants who do not list a WIT course on their CAO application by 8 May, will not be eligible for the scholarship.